Our focus always has been and always will be creating leads for our search engine optimization clients. At the end of the day, leads drive a company's bottom line; their sales and ROI. We cut through all the nonsense and always make sure our primary goal is to produce leads for our clients. Our SEO services are focused specifically on that philosophy. Although there are valuable secondary benefits of SEO services, such as brand awareness and an increase in website traffic, the primary benefit is producing more leads and sales conversions. There are many marketing companies who focus just on website traffic, but ask yourself, "Where is that traffic coming from? Does it benefit our company?" Website traffic can come from anywhere, but as a real SEO services company we choose to focus on the traffic that converts to sales. How can this be done you ask? After thoroughly analyzing the state of your website, we make sure that we are focusing on the keywords that will convert into customers once you start ranking better on Google, Yahoo and Bing than your competitors. We do on-site SEO optimization of your website and the content, we then focus on improving backlinks through syndication, trust and authority improvements. This is the top secret sauce. Two types of SEO should be focused on: Organic SEO and Local SEO. Organic SEO is the process of getting your website to rank in the top results when users are searching specific keywords on Google, Yahoo and Bing. Local SEO is the process of getting your website to rank in the top of local search and in the maps section of the search. The process can be a long and tedious one. Large enterprise companies often have their own SEO specialist on staff full time. The lower cost solution is to hire Surfside Web as your SEO professionals. When evaluating the potential of the "SEO Myrtle Beach Experts" be sure to ask them what's in their trophy case. Top Myrtle Beach SEO experts will have verifiable #1 rankings; both #1 listing and #1 page. Zundt Design - Ideal key phrase "Swiss Embroidery Designs". Achieved placement #1 Organic Listing. Cougar Paws Boots - Ideal key phrase "Roofing Boots". Achieved placement #1 Organic Listing. Basket Makers Catalog - Ideal key phrase "Basket Making Supplies", "Basket Making Instructions", "Basket Weaving Supplies". Achieved placement #1 Organic Listing for all and others. Carolina Bone & Joint - Ideal local key phrase "Orthopedic Surgery Center". Achieved placement #1 Organic Listing and map entry. Surfside Web - Ideal key phrase "eCommerce Myrtle Beach", "Social Media Marketing", "Local Search", "Merchant Services", "Merchant Accounts" and "Credit Card Processing". Achieved placement #1 Organic Localized Listings. Imako.net Cosmetic Teeth - Ideal key phrase "Cosmetic Teeth". Achieved placement #1 Organic Listing. Pegasus Firearms - Ideal key phrase "Myrtle Beach CWP", "Firearms Training Myrtle Beach". Achieved placement #1 Organic Listing. Dr Bukk's Funny Teeth - Ideal key phrase "Funny Teeth". Achieved placement #1 Organic Listing. The Sausage Source - Ideal key phrase "Sausage Making Supplies" in "New Hampshire / NH". Achieved placement #1 Organic Localized Listing. Too many #1 Page achievements to list. Analyze your business model and establish a list of the top relevant keywords and phrases that will improve your revenues the fastest and for the longest duration. Analyze your competition and establish what are the top keyword phrases that are being queried to drive targeted traffic to their sites improving their revenues. Analyze what your current rankings are, how you achieved them, what negative effects may have occurred and how to improve. Submit disavow of negatives. Critique the current website structure, content relevant to recent queries and best keywords, and index ready hyperlinks. Optimize website content and apply structural changes to linkage, meta data, micro data, and position of relevant content (Panda). Creation of sitemaps for submission to top search engines. Manual submission to top search engines which don't honor sitemap technology. Local directory submission. Once your site is indexed (approximately 30 days) your new improved rankings are analyzed and compared to the former. The improvements in step 07 are weighed against the work applied and further improvements are road mapped in order to further improve upon low rankings. Once work is performed on low ranking pages and their preferred keywords those pages are re-submitted to search engine indexing. Social media accounts are created to establish your relevant presence on social media sites. Initial posts of relevancy are submitted with links back to your relevant pages. Analysis of the Search Engine Results Page Report is finalized and improvements are recommended to establish a long term search result presence or improve upon any low keyword rankings still struggling for page one notoriety. SEO short for Search Engine Optimization, is the optimization of code and content on your website that is performed in order to improve the authority that the search engines see your site having for a given set of keywords or phrases. The more authority your site reflects for the keyword or phrase, the higher you rank at the search engines. These days there is much to these search engine optimization processes. Google considers a large set of algorithmic rules when making their assessment of your website. They consider the age of the domain, the speed of the website, the code elements, the placement of content, the content itself, linkage to and from the content and much more. Do sign up for our free SEO site audit above to learn more about how the engines are seeing your search engine optimization. How necessary is search engine optimization SEO to my company? Many brands and companies know that they need SEO (search engine optimization) for their digital properties, and the benefits they will get from that SEO being performed on their behalf. 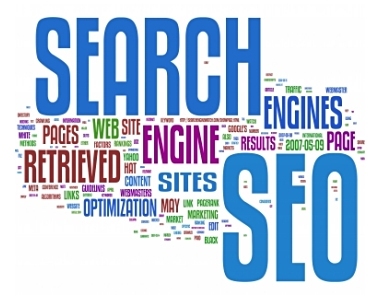 SEO will improve the website's overall searchability and their visibility as well. But what other value will it offer and does it benefit your specific company? Why is search engine optimization so important? Organic search is often the primary source of website traffic. SEO builds trust and authority which establishes your company's credibility. Local SEO / Local Search Marketing improves engagement, local traffic and conversions. SEO improves the buying cycle making research on a product or service easy for your consumers. SEO techniques and practices are always evolving and always require improvement. Proper SEO will open the door to new opportunities through visitor tracking. If you're not showing up on page #1, you won't be getting visitors. SEO is relatively low cost when you consider the goals of your company. How long does the SEO take before I see results? It's the general consensus that good SEO takes 4 to 6 months to start seeing results. Keep in mind though that this is how long it "starts to show" effect. If you see some results around this time consider your efforts as paying off and maintain that campaign for a good year. In that year you should start seeing the page #1 ranking results you require. Then in year two you should see a solid ranking increase within page #1 getting you closer to the top. In year 3 and 4 your efforts should be at their best and your site will become "sticky" which means you have become the authority on these keywords and phrases. What can I expect to pay for an SEO package? A search for this very question on Google tells us that prices for one time SEO projects range from $5000 - $20,000. Retainers for ongoing monthly range from $350/mo - $2000/mo based on size of website and industry. This is a reminder that we should really increase our prices. Until then, the Surfside Web price for ongoing SEO is $249 monthly which includes on page SEO, content creation and link building.